The overlapping design of the mounting bracket provides high torque leverage. The wall track is punched every inch making it easy to hit at least one stud. Great for hanging shelves, cabinets, mirrors, and other heavy wall décor. Supports up to 60 lbs. Throw away the hammer and forget those pesky hardware pieces. The High & Mighty Picture Hanger is a tool free solution to any wall hanging need. Simply Place, Push, and Hang your decor. A revolutionary solution to decorating and organizing, High & Mighty Wall Hanging Hooks are designed to be Stuck Up. These OOK 1 inch 5 lb. Gold Steel Professional Picture Hanger Nails (8-Pack) feature a needle-pointed design that enables you to remove and reuse the nails while leaving only pin-sized holes in your wall. The 2-Piece design of this hanger ensures that your artwork hangs flush to the wall. 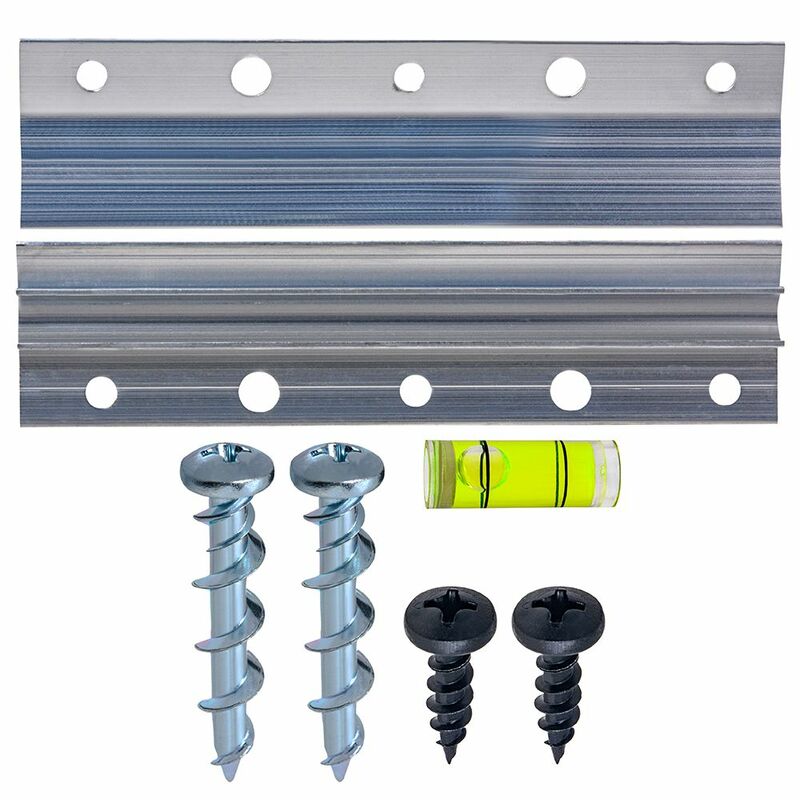 1-piece screws into the frame, while the other is installed into the wall surface. The 2-Piece slide together to offer a secure mount. 5" Pro French Cleat - 60Lb The overlapping design of the mounting bracket provides high torque leverage. The wall track is punched every inch making it easy to hit at least one stud.